Revers.io is an after-sales management solution which enables SMBs and retailers to automate and manage returns and other post-sales services with features such as intelligent return processing, automated return shipping labels, customer claims management, real-time tracking technology, marketplace integrations, and more. Revers.io offers two solutions designed to adapt to the user’s sales volumes and needs, Merchant and Enterprise. The Revers.io Enterprise solution adapts to larger businesses, offering additional features to the Merchant platform, like customized workflow, white label, SAML authentication, supplier RMA automation, and business intelligence tools. Revers.io supports reverse logistics management using returns management and follow-up tools, plus a range of integrations with carriers, warehouses, suppliers, marketplaces, and repair services. Revers.io allows users to create claims, then track returns all from one platform. Integrations with carriers enable users to manage return shipping details and generate shipping labels automatically, while warehouse connections help users organize the receipt and sorting of product returns efficiently online. Supplier and repair connections enable users to automate administrative procedures, as well as monitor and optimize repair management processes. Business intelligence tools help users gain actionable insight into their after-sales management performance. Revers.io enables users to manage after-sales flows and track the whole return process from a single location. Once users select their return option (exchange, reimbursement or repair), they can then make their shipping and parcel deposit choice based on their preferences and current location. Revers.io automates reverse logistics processes according to the user’s specific business rules. Other Revers.io features include a notification system for customers, online payment management, quote creation, and a standard tracking chart. Revers.io supports a couple of optional services such as customer relationship management by the solution’s multilingual team, massification of returns in the solution’s European hubs, and management of repairs through the Revers.io repairers’ network. We find the platform very easy to use, meaning the customer is informed at all stages of the process.We find the software easy to use, all customer information is clear. This makes following the customers request hassle free. We find the software easy to use, all customer information is clear. This makes following the customers request hassle free. If you press a status in error you are not able to go back or amend. We are pleased to work with you! Thank you for this good review and your trust. It's easy to provide return labels to customers abroad to ship back returns and defective products.Easy to use environment. Good overview of cases. Easy to use environment. Good overview of cases. After adding info or update a status, it frequently gets into a loop. You have to refresh (F5) to get to next step. Thank you Chi-Ho for your trust! Contact Revers.io for detailed pricing information. Create claims for exchanges, reimbursements or repairs, then track the entire returns process online from one platform using Revers.io. Revers.io supports integrations with carrier services, allowing users to streamline returns management with automated shipping label generation. 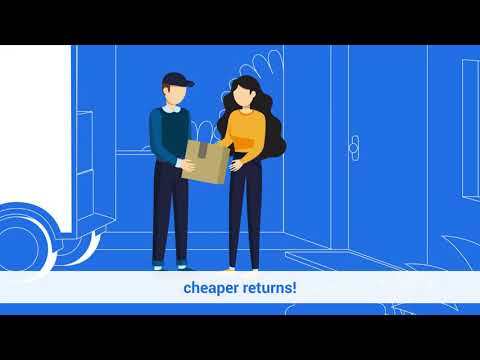 Revers.io keeps users up-to-date on the progress of their return at each stage, and gives them quick and central access to all of their return documents online (shipping return labels, receipts). Revers.io offers a full tracking system, ensuring complete traceability and transparency in the returns process, and material, data and financial flows. Business intelligence tools give actionable insight into after-sales flows and returns performance, helping users make informed business decisions. Below are some frequently asked questions for Revers.io. Q. What type of pricing plans does Revers.io offer? Q. Who are the typical users of Revers.io? Q. What languages does Revers.io support? Q. Does Revers.io support mobile devices? Q. Does Revers.io offer an API? No, Revers.io does not have an API available. Q. What other apps does Revers.io integrate with? Q. What level of support does Revers.io offer?